Network Monitoring with MRTG on Raspberry Pi @raspberry_pi #piday #raspberrypi « Adafruit Industries – Makers, hackers, artists, designers and engineers! The Raspberry Pi is an amazing, tiny and inexpensive computer based on Linux. 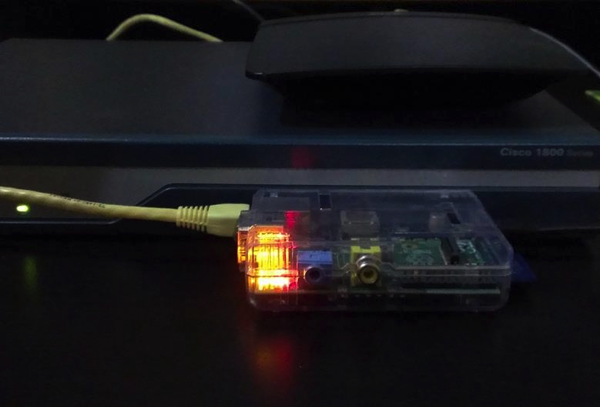 Despite being small and cheap, a Raspberry Pi system packs enough power to perform network management tasks using appropriate software tools. In this article, we introduce you to such a tool called Multi Router Traffic Grapher (MRTG) that uses Simple Network Management Protocol (SNMP) to monitor network devices and draw graphs showing how much traffic has passed through interfaces over time. We will also take some time refreshing your memories about SNMP, the protocol used by MRTG. We then cover how to install and configure MRTG on a Raspberry Pi system. The ability to visually monitor traffic load on network links at a glance, as explained in this article, is very useful in a Network Operations Center (NOC) environment.